The structure indicated is the gluteus maximus. The gluteus maximus muscle is the largest of the gluteal muscles, and is also the largest muscle in the human body. 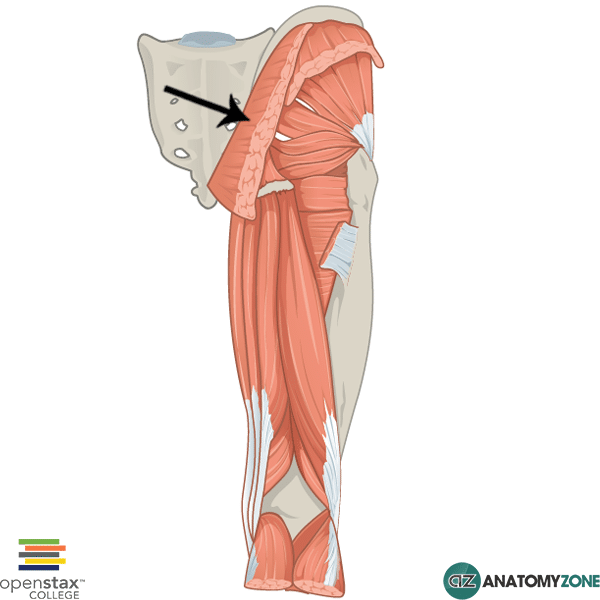 Insertion: Primarily to fascia lata at iliotibial tract. Upper posterior surface of femur at gluteal tuberosity.